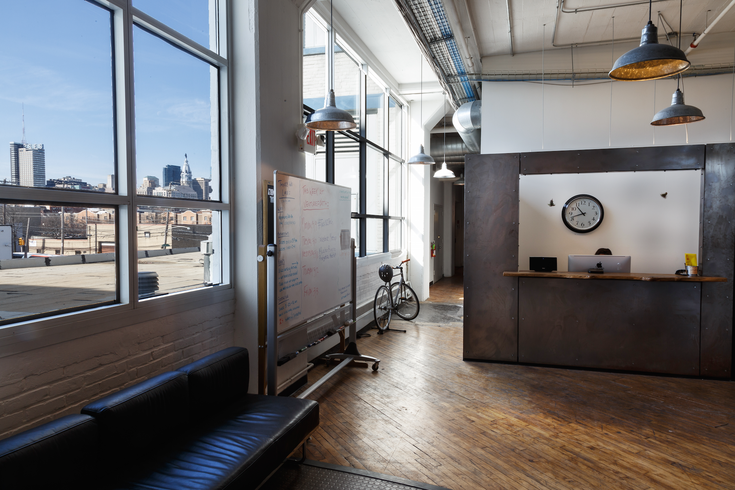 Venturef0rth, a coworking space in Callowhill. Callowhill co-working community Venturef0rth is holding a social networking event for Philly's young creatives Thursday. Hosted by Chill Moody, DJ Royale and Whose Your Landlord's Ofo Ezeugwu, Venture On will be part fundraiser part roof-raiser. Moody, musician and head of digital distribution label nicethingsMUSIC, will be in good company among emerging artists performing live music and local entrepreneurs giving keynote speeches. Singer-songwriters Vinnie Paolizzi and Brianna Cash, R&B and soul artist Milton and trio ILL Fated Natives will perform for the crowd. The lineup of speakers includes CEO of ROAR for Good Yasmine Mustafa, Nick Marzano, president of Young Involved Philadelphia, CEO of My MilkCrate Morgan Berman, WXPN's Bruce Warren, Councilman At-Large David Oh and RJMetrics' Steven Mayernick. Food will be provided by Poi Dog, More Thyme for You, BrazBQ, Nom Wah and Jenny and Frank's Artisanal Gelato.